Sunderland Software City inspires and supports the growth of software companies across the region. 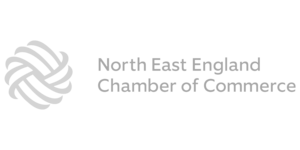 Their aim is to make the North East into an established place to do business for the international software industry. Engaging prospects and clients is becoming harder than ever. Being heard above the noise and standing out from the crowd is a difficult aim to achieve. Sunderland Software City wanted to create something that would engage, inspire and encourage people to interact with their brand at events and exhibitions. LamasaTech developed a gaming application that would encourage event visitors to play an interactive game together on an interactive multi-touch table. It is an experiential game that engages its users and brings out the fun and competitiveness in players. This opens the lines of communication and allows conversations to start. The game was presented on an interactive multi-touch table that can be played by multiple people at one time. The entire game was branded with corporate logos and colours ensuring prospects could engage with the brand and its message. The game also included a data capture element allowing users to enter valuable contact information. By creating this data capture element of the application, the pathway was paved for future interactions to occur by securing contact details. The game proved a huge success, engaging visitors at numerous events across the region. The data capture element allowed Sunderland Software City to capture prospect data from each event for marketing purposes.